The Vikings have landed in this premier game piece set for The Settlers of Catan Board game. Each set features settlements, roads, and cities from different cultures in history, hand crafted in fine pewter. Also included in each set is a specialized Robber piece modeled after each cultural setting. 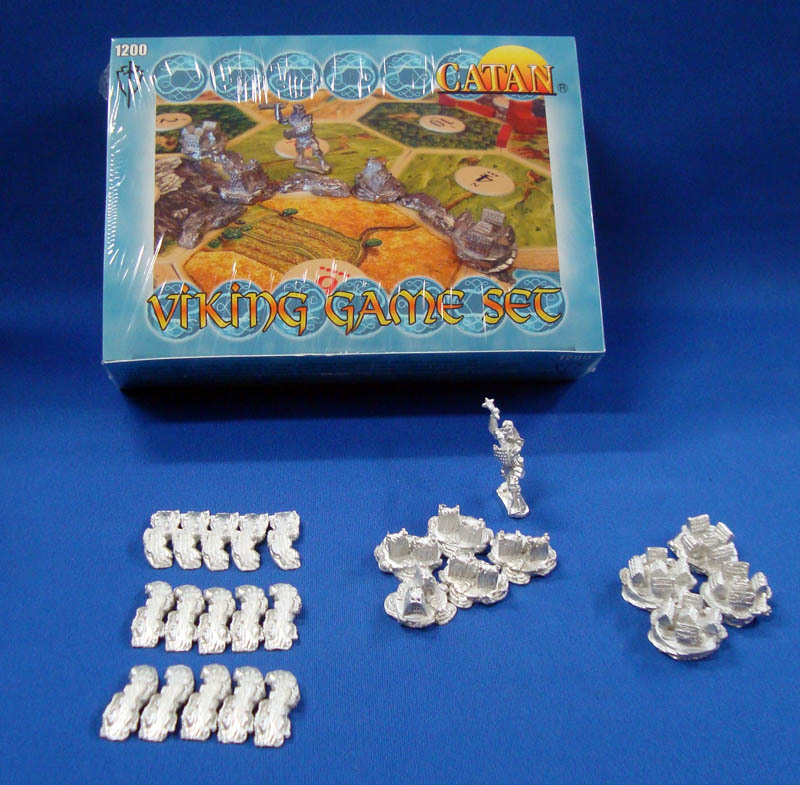 Each set contains 25 game pieces for use in your Catan game. Mayfair Games, Inc., Skokie, IL USA. Copyright � 2011 by Catan GmbH. The Settlers of Catan is a trademark of Catan GmbH. All rights reserved.